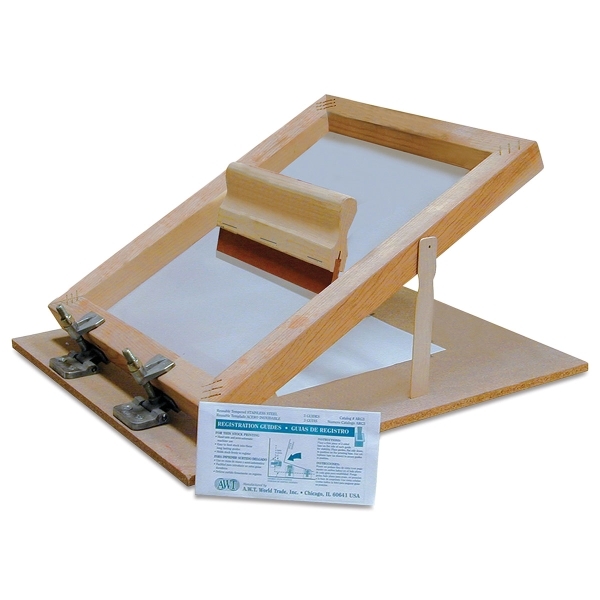 This professional screen printing unit is suitable for prototyping, short runs, classroom training, and specialty work. The frame is made of kiln-dried, non-warp wood, with a wooden base and side frame support. Adjustable, cast metal hinge clamps improve production. The frame is stretched with the best quality polyester fabric, having a multifilament mesh count of 12XX. Each unit comes with a squeegee and three registration guides.